Why should I use Prolong Engine Treatment? Prolong Engine Treatment successfully reduces friction and heat in your engine with its advanced technology. Prolong Engine Treatment is a molecular based product that interacts with all of the metal surfaces, chemically bonding to create a protective layer that successfully reduces friction and heat in your engine with its advanced technology. This is particularly important during start-up after your engine sits (say overnight) and all the oil drains back into the sump. They say that between 60 & 80% of engine wear happens during that first 1-2 seconds before full oil pressure. Your rotating components can have turned 50 – 60 times at this stage without proper lubrication. Additionally, the added lubricity that Prolong Engine Treatment offers will reduce friction which in turn lowers heat and will potentially improve mileage. More than anything else Prolong Engine Treatment will help to dramatically extend your engines life span. Your vehicle is a major investment; it makes sense to do everything possible to protect your engine and maintain optimum performance. How is Prolong Engine Treatment different than other engine treatments? Prolong Engine Treatment provides an advanced extreme pressure lubrication technology not found in any other engine treatment. The AFMT™ (Anti-Friction Metal Treatment) formula is unlike many engine treatments in that it bonds to the metal – particularly the polished metal surfaces inside your engine to protect them from wear and heat. Prolong products do not contain solid particles such as PTFE resins, “molys,” zinc, copper or graphite. How much Prolong Engine Treatment should I use? For the initial application, add Engine Treatment approximately 8- 12% to volume depending on Oil Sump Capacity or a rule of thumb being 10% to volume (our 12oz bottle is perfect for up to 5 quart systems – for 5 quarts and more we suggest the 10% rule). Then as approximately 35% – 40% of Prolong Engine Treatment is still attached to the polished metal surfaces inside your engine, only 60% – 65% drains out with the oil when you change the oil. So you only need to replenish this amount. i.e., 60% (our 8oz bottle is perfect for replenishing for up to 5 quart systems). So just remember: 1st application 10% to total volume of oil. Subsequent applications at 6% to the total volume of oil. And remember to not overfill your crank case, in other words, subtract the same number of ounces from your oil as you are adding of Prolong Engine Treatment. What's the difference between an oil treatment and Prolong Engine Treatment? Rather than just adding thickeners to the oil, Prolong’s formula actually interacts with your engine’s metal surfaces through a molecular and chemical process, creating a unique superior resistance to extreme friction and heat. Simply, it “bonds” with metal to form a protective layer. Can I use Prolong Engine Treatment with any engine? Prolong Engine Treatment is safe and effective for new (after Break-in period see “Can I put Prolong Engine Treatment in a brand New Engine?”) or used, gasoline or diesel engines. It can also be used in rotary engines. Prolong Engine Treatment is an ash-less petroleum product especially suited to applications where lubrication and reduction of carbon build-up are critical factors. Should I wait to use Engine Treatment until after the Break-in period on my engine? We recommend that for most road Cars , Trucks and street Motorcycles that you wait until after your the OE Manufacturer’s recommended break-in period and use Prolong Engine Treatment with your first oil change. Of course, there are always exceptions to the rule, i.e., Race Engines which are not always concerned about going 100,000, 200,000 300,000 or more miles, but rather protecting the engine during the extremes of a racing environment. Prolong Engine Treatment is compatible with both natural and synthetic oils. Does the treatment contain any solids? No, Prolong Engine Treatment does not contain plastics, PTFE resins (Teflon®), graphite, molybdenum disulfide (molys), or any other solids, which may cause damage or harmful build-up. What is the difference between Booster and Engine Treatment? The 8-oz. Prolong Engine Treatment Booster is the same formula as the 12-oz. Prolong Engine Treatment, and is packaged for repeat use after the first application of the product. For the first time, use the 12 oz. Engine Treatment or 10% – 12% to volume depending on Oil Sump Capacity (12oz is perfect for up to 5 quart systems). Then as approximately 35% – 40% of Prolong Engine Treatment is still attached to the polished metal surfaces inside your engine, only 60% – 65% drains out with the oil when you change the oil. So you only need to replenish this amount. i.e., 60%. We recommended that you use the Engine Treatment Booster which is 8oz to “replenish” the drained Engine Treatment. The Booster size, which is 60 % to volume of the 12 ounce size, contains the same superior formula – saves money and replenishes the Prolong protection to its maximum level. How often should I use Prolong Engine Treatment? Anytime after your engine’s break-in period, then with each oil change. Prolong recommends you follow your vehicle manufacturer’s guidelines, be that 3,000, 5,000 or 7,500 miles and even up to 10,000 miles. Vehicles with longer oil change intervals than 10,000 miles will need to add additional Prolong Engine Treatment in order to benefit for the full protective properties of the Engine treatment. Can Prolong Engine Treatment be used in motorcycles? Yes, use Prolong Engine Treatment at 10% to the volume. If your application utilizes a wet-clutch and/or the oil is shared by both the engine and the transmission, use only 5% to the volume. Can Prolong Engine Treatment be used in a 2-cycle engine? Yes, add the engine treatment to the oil only, at 5% to the volume, then mix with gas. Use the same mixture for oil injection systems. Why should I use Prolong Transmission Treatment? Problems with automatic or standard transmissions represent one of the most costly automotive repairs. Prolong Transmission Treatment is formulated with AFMT™ (Anti-Friction Metal Treatment). When added to your vehicle’s transmission fluid or gear oil, it forms a protective layer of molecules on all the metal surfaces of the transmission. Metal-to-metal extreme pressure friction and heat from clutch and gear application are significantly reduced to optimize smooth shifting and equipment performance. Can I use Prolong Transmission Treatment in the Front and Rear Differentials of my 4WD? What about the Transaxle or Transfer case? We recommend use either Prolong Engine Treatment or our Industrial AFMT in your Differentials instead of Transmission Treatment. How much depends on if they are limited slip or not. If they are not limited slip, them you can use Prolong at 10% to the total volume of oil recommended for your differential. For example if your differential holds 4 1/4 pints that would be 68 ounces total, so use 6.8 (or approximately 7) ounces or Prolong and 61 ounces of the manufacturer’s specified lubricant. By subtracting the approximately 7 ounces for your lubricant / fluid, you will not overfill your differential. Now the same applies to a limited slip differential, except use Prolong at a 5% ratio, or approximately 3.5 ounces for the example above. For Transfer cases that use gear oil, this is the same as the differentials. However, if you have a transfer case, or transaxle that uses an ATF (Automatic transmission Fluid), first make sure you are using the specific type of ATF the manufacturer calls for. Once you have satisfied the specific Trans Fluid requirements, then yes you can use Prolong Transmission Treatment at 10% to volume. Not overfilling is even more critical in the transmission and the transaxle than the differentials. So remember to subtract the same amount of Prolong from your overall fluid. It is often the practice, if you are draining the transmission or transaxle fluid to retain all of it this fluid so you can measure what you drained and replace the same amount. This ensures proper fluid levels as not all the fluid will drain out – this assumes you have had no leaks. Then again subtract whatever amount of Prolong you are adding from your transmission fluid. Can I use Prolong Transmission Treatment in my CVT Transmission? No, Prolong does not recommend the use of our Transmission Treatment in any CVT transmission. If you are not sure you have a CVT transmission, please check with your dealer’s service department to verify. 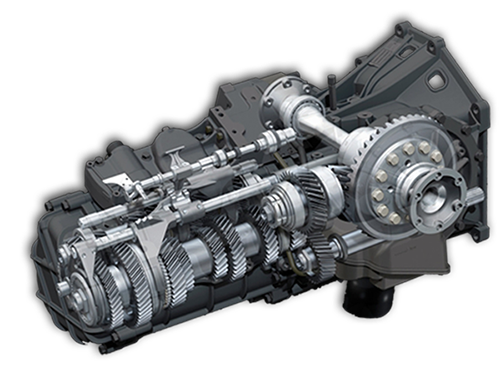 Here is a partial list of vehicles with CVT Transmissions. Unlike traditional automatic transmissions, continuously variable transmissions don’t have a gearbox with a set number of gears, which means they don’t have interlocking toothed wheels. The most common type of CVT operates on an ingenious pulley system that allows an infinite variability between highest and lowest gears* with no discrete steps or shifts. An output “driven” pulley CVTs also have various microprocessors and sensors, but the three components described above are the key elements that enable the technology to work. CVTs also have various microprocessors and sensors, but the three components described above are the key elements that enable the technology to work. For this reason, they have very specific friction requirements to operate properly. Changing the lubricity, as our Transmission Treatment could, or perhaps I should say “would” have an adverse effect on how the transmission shifts and could cause premature failure. As this is a known effect, we have not tested our product in CVTs and do not recommend their use in any CVT. *the word “gear” still appears in the explanation of a CVT, remember that, broadly speaking, a gear refers to a ratio of engine shaft speed to driveshaft speed. Although CVTs change this ratio without using a set of planetary gears, they are still described as having low and high “gears” for the sake of convention. Is Prolong Transmission Treatment compatible with the seals and gaskets in an automatic transmission? Yes, it can be used with confidence in an automatic transmission. Will Prolong Transmission Treatment cause my clutch to slip? No, the unique formulation will not impede clutch or band application. In some cases, a glaze forms on clutch fibers and bands that causes clutches to slip. Applying Prolong Transmission Treatment can help remove this glaze and other sticky build-up to optimize performance. Is Prolong Transmission Treatment compatible with all transmission fluids? Yes, Prolong Transmission Treatment can be used with all types of standard and synthetic transmission fluids and gear oils. How often should Prolong Transmission Treatment be used? The first application can be made at any time, but may be most convenient to do when transmission fluid is being changed. After the first application, Prolong Transmission Treatment does not need to be used again until the fluid is changed. Will adding Prolong Transmission Treatment overfill my transmission fluid reservoir? When adding Prolong Transmission Treatment to a manual transmission, remove 8 ounces of gear oil (or if changing, put in 8 ounces less) then pour in contents of 8 oz. bottle. If adding to an automatic transmission, contents may be poured in directly without removing or reducing the transmission fluid. What's so good or different about Prolong SPL100® Super Penetrating Lubricant Spray? SPL100 does much more than the other well-known sprays, some of which are not even real lubricants. Some displace water, some are actually just cleaners. SPL100 cleans, penetrates, displaces moisture, protects surfaces and lubricates metal mechanisms with superior AFMT™ advanced technology. What's so good or different about Prolong EP-2 Multipurpose Grease? Prolong grease is characterized by superior mechanical stability and extreme high load carrying capability. It has excellent resistance to water, oxidation and corrosion, and outperforms other high temperature greases such as lithium complex, aluminum complex, and many other polyurea greases. The grease is exceptionally long-lasting and has extraordinary clinging power so that less grease is needed per application. Why is it important to use the Prolong Fuel System Cleaner or Fuel Injector Cleaner? Over time, carbon deposits and sludge build up in the fuel lines, carburetor and injectors, robbing your vehicle of power and causing poor fuel economy. The Prolong Fuel System Cleaner removes and even helps prevent this build-up from occurring. It also adds lubricity to the fuel to help protect gaskets and seals and optimize mileage. The Prolong Fuel Injector Cleaner removes deposits on injector tips and maximizes the fuel spray pattern for peak performance and fuel economy. How often should the fuel additives be used? Use the Fuel System Cleaner every 3,000 miles. Use the Injector Cleaner in between if you detect fouling, poor firing or starts, or reduced mileage. Does it matter what grade of gasoline I use? No, Prolong fuel additives are compatible with all grades of gasoline. What is the advantage of the Prolong Octane Boost? The Prolong Octane Boost provides a street-legal increase in octane power, even at the highest pump level. It provides extra power and performance that may not be needed all the time, such as pulling a boat or trailer, especially over steep grades. What is Prolong Waterless Wash & Shine? Waterless Wash & Shine is a revolutionary new method of washing and protecting your car in one easy step. When you wash your car with a conventional car wash, you have to first get a hose, bucket, sponge, and chamois, then go through the rinsing/washing/rinsing/drying process to finish the job. With Waterless Wash & Shine, all you do is spray onto the surface of your car and wipe dry. It’s that simple! The unique citrus-based formula dissolves dirt and contaminants with ease, while special lubricating agents encapsulate the dirt so that it can easily be wiped off your car’–s delicate surface without scratching. In addition to its powerful cleaning action, Waterless Wash & Shine leaves a protective film on your car that provides a just-waxed shine and smoothness that conventional car washes fail to do. Absolutely not. When you wash your car with a conventional car wash, you have only the cleaning agent and some water between your sponge and the surface of the car. There is nothing to protect the surface from the dirt grinding against the paint. The special lubricating agent in Waterless Wash & Shine has been thoroughly tested and has demonstrated in laboratory and real-life tests that it does not scratch the paint. The lubricating agents surround and encapsulate the dirt so that your paint is not scratched when the dirt is wiped away. Waterless Wash & Shine is safe to use and can be used with any terry cloth towel. Can I use it on extremely dirty surfaces? Unfortunately, even our special lubricating agents won’t help if your car has caked-on dirt. To use Waterless Wash & Shine in this case, we first suggest that you remove all the large dirt particles with a hose. Remember, Waterless Wash & Shine was designed for cars that are lightly to moderately soiled. This means the typical dirt from daily driving and not from”off roading” in mud or in severe slush type conditions. On what surfaces may I use Waterless Wash & Shine? Waterless Wash & Shine was designed for use on any exterior surface of a car except for the tires. This includes the paint, chrome, plastic trim, painted plastic, wheel rims, headlamp covers and even glass. We do not recommend the product be used for vinyl tops or fabric. How often can I use Waterless Wash & Shine? You can use Waterless Wash & Shine as often as you like. It will not build up. It’s great for every day use or weekly car care. How many cars can I treat with one 17oz. bottle? Depending on how dirty your car is, you might use a different amount each time you apply the product. For an average sized car with light to moderate soil, you can clean up to five cars with a 17oz. bottle. On what types of cars can I use Waterless Wash & Shine? Waterless Wash & Shine is safe for conventional and clear-coated paints and therefore can be used on any type of car. Can I use a buffer/orbital buffer with Waterless Wash & Shine?
. Prolong does not recommend using a buffer/orbital buffer as Prolong Waterless Wash & Shine does not contain wax. Though there are polymers that bring back the shine when you rub, it is designed for hand rubbing and not the speed or heat that is often associated with a buffer/orbital buffer. I have or work at a body shop, does Waterless Wash & Shine contain Silicon? Waterless Wash & Shine does contain small percentages of silicon type products. As with any product that may contain silicon – use Waterless Wash & Shine as a liquid, i.e., wipe or brush it on, you will limit the possibility of any airborne particles landing where you don’t want them. Waterless Wash & Shine works exceptionally well on nearly any surface. Try it on fiberglass boats, personal watercraft, motorcycles, RV’s, bicycles, and even lawn furniture, barbecue covers, etc. Can Waterless Wash & Shine remove tree sap and bird droppings from my paint? Waterless Wash & Shine was designed with those tough contaminants in mind. Tree sap, road tar, bugs and bird droppings are all easily removed with Waterless Wash & Shine. Even if used full-strength, conventional car washes cannot clean tar spots, but the citrus-based Waterless Wash & Shine safely removes tar with no effort at all. Can I use Waterless Wash & Shine in the sun? Yes. You can use the product in the sun or in the shade. It is easier to use in a shaded area, so the product doesn’t dry as quickly, but you can use it wherever and whenever you like. How many towels should I use to treat an entire car? The best way to use the product is to use one towel to spread the product and wipe the surface clean and another clean towel to remove any excess and wipe the surface dry. For an average size car, two to three towels should be enough. We encourage you to always use clean sides of the towel so if your car is exceptionally dirty, you may need more towels. Do I have to use a terry cloth towel? No. You don’t have to use a terry cloth towel, but terry cloth towels are more effective at cleaning the car and storing the removed dirt and contaminants in the nap of the towel, safely away from your paint. How does Prolong Waterless Wash & Shine compare to a 'wash & wax'? The ‘wash & wax’ products on the market are not very effective. This is due to the fact that waxes and washes don’t really mix. As a result, when you rinse your car, any wax that there may be in the formula is being rinsed off as well. Waterless Wash & Shine not only cleans your car but also leaves a protective film that is not attracted to water and therefore won’t rinse off. How does Prolong Waterless Wash & Shine compare to other waterless washes? Competitor’s quick detailing products only remove light dust and must be applied in the shade. They contain petroleum distillates and may be harmful if swallowed and can cause skin irritation. Some may explode if the bottle is over-pressurized and require vigorous shaking before use. By comparison, Waterless Wash & Shine requires no buffing or polishing (just spray on and wipe off), can be applied anywhere, is a citrus-based formula that dissolves and removes tree sap, road tar, bugs and bird droppings, contains no petroleum distillates, is essentially non-toxic, won’t explode, and doesn’t require vigorous shaking. It’s the simplest, most effective way to clean and protect your car, anywhere, anytime, leaving your paint with an amazing gloss finish! Can I find out more about the warranty before I buy anything? 1.800.540.5823. Prolong Super Lubricants offers this free lifetime Warranty for qualifying vehicles to demonstrate they stand behind their products, and to create confidence in interested consumers like yourself. Is this really a 'lifetime' warranty? Yes, the Lifetime Limited Product Engine Treatment Warranty may be extended on an eligible vehicle for as long as you own it… the lifetime of your car! 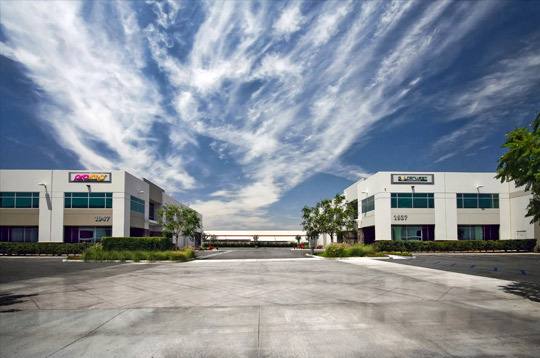 All you have to do is use Prolong Engine Treatment every 6 months or 6,000 miles and send in the renewal information to the GoldenWest Warranty Administrator, 1937 Mount Vernon Avenue, Pomona, CA 91768-3312. Are all cars eligible for this 'life time' warranty? Prolong offers the most generous engine treatment warranty available, allowing coverage for vehicles with up to 100,000 miles! Most of the vehicles on the road will qualify, and remember, a high-mileage vehicle that doesn’t qualify for the free warranty certainly still benefits from the use of Prolong Engine Treatment and Fuel System Treatment! Must be a passenger car, SUV, van or lightweight truck weighing 7,200 lbs. or less, which has never been used for any commercial, off-road or racing purpose. No motor homes or other type of vehicles. Must have a valid and intact VIN, and never have been modified or altered from the manufacturer’s original specifications or titled or branded as salvage, junk, rebuilt, totaled, flood or fire damaged. Can I register for the warranty if I live outside the United States? Unfortunately, warranty coverage is limited to residents within the United States at this time. Fortunately, where ever, whenever and whatever you drive can benefit from the protective properties of Prolong Engine Treatment in the crankcase. What if my car has over 100,000 miles on it? An odometer reading of less than 100,000 miles is required to enroll your vehicle for the Lifetime Limited Product Warranty. Once registered, you may continue warranty coverage for as long as you own the car, by applying Prolong Engine Treatment Booster every 6 months or 6,000 miles, whichever occurs first. Even though a vehicle with more that 100,000 is not eligible for initial warranty registration, it will certainly benefit from the application of Prolong Engine Treatment to protect against friction and reduce operating temperatures. How will I know if my warranty application has been received, approved and processed? Within several weeks of your mailing in your application, you will receive an appreciation letter from Prolong confirming your warranty registration that includes a renewal form for your future use. If the vehicle does not qualify (mileage too high, etc.) or if omitted information is still needed, you will receive a letter of explanation from the GoldenWest Warranty Administrator. What if I forget to use the product or to send in the Warranty renewal information when I should? Providing your vehicle still has less than 100,000 miles on the odometer, you can re-register your vehicle again, just like you originally did. Purchase and install the 12oz. Prolong Engine Treatment, then complete and mail in the registration form. There is a short waiting period after the initial registration before the Warranty takes effect. This waiting period is waived for Warranty renewal. Can I use other additives? No other additives may be used while the Lifetime Limited Product Warranty is in effect. Can I enroll more than one vehicle? You can enroll as many vehicles as you want. Each vehicle is separately registered, providing it meets the eligibility criteria. Each vehicle must be initially treated with 12 oz. Prolong Engine Treatment. Application of Prolong Engine Treatment Booster every 6 months or 6,000 miles and a renewal form are required to continue Warranty coverage. Does the Warranty transfer if I sell my vehicle or give it to a friend or family member? No. The Warranty is only valid for the consumer and vehicle originally listed on the Warranty registration card. Providing the sold or transferred vehicle is still eligible, i.e. less than 10 years old, and less than 100,000 miles, the new owner can register for a new Warranty when he or she adds Prolong Engine Treatment. How do I renew the warranty period once I've registered the first time? Purchase and install Prolong Engine Treatment Booster within 6 months or 6,000 miles of the first application. Use the renewal form sent to you from Prolong by mail after initial registration and each subsequent renewal. Mail to GoldenWest Warranty Administrator, 1937 Mount Vernon Avenue, Pomona, CA 91768-3312. Must I use Prolong Engine Treatment Booster size to renew the warranty? The Prolong formula treats the metal of your engine, using the motor oil as a conduit. In order to maintain the maximum level of protection first achieved when you install Prolong Engine Treatment, the product needs to be re-applied after an oil change. A certain amount of the product remains on the engine metal, so the full 12 ounces is not required for replenishment. The 8-ounce Booster size of the product is sufficient and more economical. However, if you wish to again apply a full 12 ounce treatment, it is perfectly fine to do so. It is not detrimental to the engine, just less economical. I don't usually change my own oil; I have a service facility do it. Can I still register for the warranty? Certainly. Many professional service facilities offer Prolong Engine Treatment as an option for your oil change package. You may want to keep that in mind when choosing a place to take your vehicle for maintenance. Facilities offering Prolong Engine Treatment also have the warranty documents to provide to their customers who have our product installed. Be sure to get the form, complete it and mail it in. You may also purchase the product at your favorite retailer for automotive supplies, then take it with you to the service facility and have it installed. If you do this, you will complete your registration form with the date and odometer reading at the time of the service, just as though you were putting it in yourself. Return to the facility within 6 months or 6,000 miles and ask that Prolong Engine Treatment Booster be installed with your oil change. Complete the renewal form sent to you from Prolong and mail it in to: GoldenWest Warranty Administrator, 1937 Mount Vernon Avenue, Pomona, CA 91768-3312. The pre-owned vehicle I purchased already had Prolong Engine Treatment installed for me, what do I do for the warranty? Many top-quality dealerships are installing Prolong Engine Treatment in their new and pre-owned vehicles, recognizing the credibility and added value presented to interested buyers. These dealerships will either present the warranty to the buyer at the time of purchase, or will place it in the vehicle glove compartment. The warranty document has specific, step-by-step information for the claim process. Prolong Super Lubricants has appointed a very experienced claims administrator to review and insure claim requests are processed in a timely manner. The number provided in the warranty is strictly for reporting a potential claim and receiving a case number and instructions. Any other questions regarding our warranty should be submitted by using the “Contact Us” screen of this website or calling 1.800.540.5823. We will respond promptly. Can using Prolong products void my vehicle manufacturer's warranty? No, the use of Prolong products will not void manufacturers’ warranties. Vehicle manufacturers are allowed to specify the motor oil grade and API (American Petroleum Institute) service requirements necessary to validate their engine warranty. Prolong Engine Treatment in no way alters the grade or other specifications of either petroleum based or synthetic motor oils, and Prolong Super Lubricants encourages drivers to follow the manufacturer’s recommended service schedules. Prolong Extreme Pressure Multi-Purpose Grease Exceeds NLGI GC/LB (ASTM D 4950) standards. Vehicle Manufacturers are not allowed to specify that a particular brand of product be used with their equipment to qualify a warranty unless they provide that product for free. Does Prolong Engine Treatment have chlorine in it like bleach does? No, although competitors have shamefully and inaccurately tried to make consumers think so by ridiculously showing bottles of bleach being poured into engines or referring to chlorinated or olefin paraffins as chlorine. For decades, tribologists — lubrication specialists — have known that CP’s or chlorinated paraffins provide the most superior lubrication. The drawback to this approach was instability at extremely high temperatures. Enter Prolong Super Lubricants; with a revolutionary Aromatic Petroleum Distillate unique advanced technology. (View Prolong’s Technology Here) The incomparable Prolong formula received the “1a” rating–the highest possible–on independent laboratory testing designed to determine the corrosivity of liquids when applied to metal, demonstrating the products are non-corrosive. The heart of Prolong AFMT™ technology is its unequaled chemical stability, providing the user with the best of both worlds. Did Prolong get sued or fined by the FTC? No, the facts are that the FTC thoroughly investigated all of the tests and evidence that supported Prolong’s product claims in much the same manner as going through a very detailed IRS audit. Prolong has never been sued or taken to court by the FTC. Prolong has never been fined by the FTC. Prolong did not make false product claims. No employees of Prolong were found to have violated any FTC regulations. We recognize how important the FTC’s role is in protecting consumers and understand reasons for the extensive examination of all products in the engine treatment category. The end result of this activity can also strengthen the credibility of a company and product as well as provide consumer knowledge. In order to satisfy the concerns of the FTC staff after they had expended valuable time investigating all of Prolong’s product claims, Prolong entered into an agreement with the FTC in which Prolong promised that it would rely on “adequate scientific evidence” to substantiate its’ product claims. No fines were assessed. No suits were filed by the FTC against Prolong. The agreement was entered into in early 1999. Thirteen years have passed with complete cooperation. Do vehicles in your infomercial really run without oil, is that recommended? Prolong would never advocate that any of our users operate vehicles without proper levels of conventional natural or synthetic oil. Prolong products use the oil as a medium to reach all the metal surfaces within the motor and our product instructions encourage conscientiously adherence to manufacturers’ maintenance guidelines. Although we fervently hope that our customers never find themselves suddenly driving without oil, we quite honestly have run many vehicles without oil after being treated with Prolong Engine Treatment as a means of dramatically demonstrating the protective properties of our product. In Prolong’s first infomercial, Prolong World Challenge, dozens of automobiles, trucks and motorcycles were treated with Prolong Engine Treatment and then drained of engine oil, before running in the scorching temperatures at Willow Springs International Speedway in the California desert. Perhaps most memorable was Al Unser, who thought he would never make it half a lap, continuing to race the $60,000 red Viper around and around until he himself had to call it quits even though the car was still going strong. Sandra Bartley, 20-year test and race car driver, drove all through Los Angeles and then a circuitous mountain route to Santa Barbara with no oil — after personally inspecting the car herself to make sure the filter was removed as well as the plug and oil from the crankcase. She arrived with no problems. In our second infomercial, Prolong Across America, company spokesperson Miss Prolong Marnie Capurro, drove from Long Beach, California to Daytona, FL with only Prolong Engine treatment for lubrication, delighting in the expressions of disbelief every time she drove in to a gas station and asked to have the oil checked. In our infomercial, Xtreme Machine Challenge, the same abused demo engine shown in the first infomercial, with cut oil lines and sand poured onto it, is resurrected for more oil-deprived torture… and again it fired right up. The situations and results shown in all our shows are real. There were no camera tricks or gimmickry. Each of the vehicles first had Prolong Engine Treatment added to the motor oil, then allowed to circulate before the oil was drained. Our engine treatment formula adheres to the metal surfaces, so Prolong protection remained even when the oil was drained. We certainly do not want consumers to imitate the extreme example we have made to get your attention and prove the unique benefits of Prolong technology. We do know that Prolong Engine Treatment has saved equipment and money during oil and coolant loss for many consumers because they have thankfully let us know. Just take a look at our testimonials from everyday drivers, real people just like you.